The soul of dancing will be on display when the Movers Unlimited Touring Dance Company and the TCC NE Dance Company join forces for Here and Now. The formal fall concert will showcase both dance companies at NE Campus. Special guest such as HIP3 group, NE dance theory students and the International Leadership of Texas Arlington High School Dance Company will perform as well. 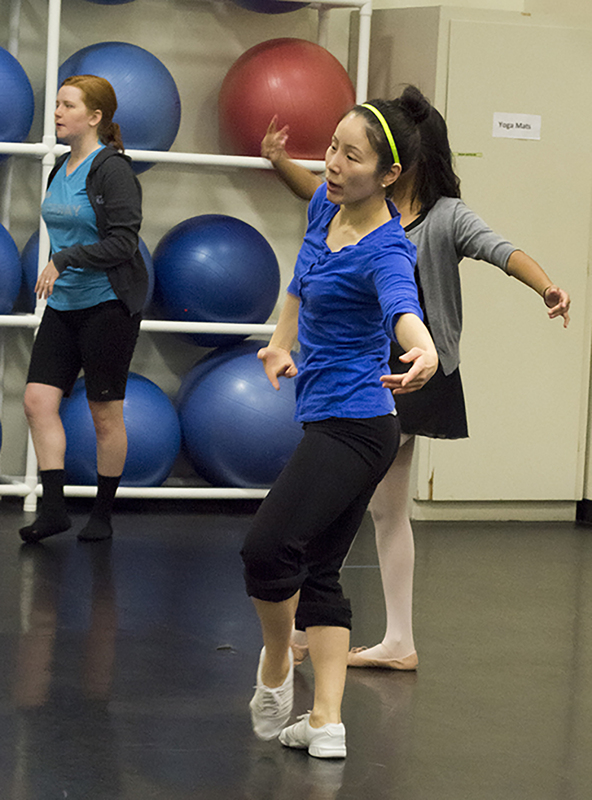 NE dance associate professor Hyunjung Chang said the traditional event was started by Dr. Linda Quinn when she created the dance program at NE. NE dance program coordinator and dance professor Kihyoung Choi said the audience should be prepared to witness all different genres of dance such as hip-hop, jazz, Korean, ballet, and Mexican folk. “It’s really hard to find a concert where the audience can experience all these different dance forms,” she said. NE student and Movers Unlimited director Krista Carson said she plans to bring her best and her heart when she performs for the audience when they experience the event. “There is an urge to move, create and constantly be doing something you can funnel your passion into very heavily, especially with the time spent in the environment with the people who are here,” she said. NE student Sara Zapata said blood, sweat and tears are put into the training regimen to make sure that the show is a success. “I feel like on that stage you can share your passion so widely and inspire audience members and potential future Movers,” she said. Tickets go on sale in NE business services 10 a.m. Nov. 26. Shows are 7:30 p.m. Nov. 30 and 2:30 p.m. and 7:30 p.m. Dec. 1 in the NFAB Theatre. General admission is free to TCC students, faculty and staff and $5 for the public. Contact Kihyoung Choi at kihyoung.choi@tccd.edu or 817-515-6638.